Is the Declaration of Independence, which had 41 slave holders among its 56 signatories, in peril from those who would cleanse the country of its slave-holding past? Although we understand the stated reason for removing statues of Confederate army personnel from public buildings, parks and streets across the South — that they are symbols of the region's slave-holding past — we wonder where it will stop. We've never heard an answer to that — not by leftist protesters, not by politicians, not by pundits. That answer has never been given because there is no "enough." We fool ourselves to think the argument is about a statue or statues. Most advocates of removing a particular Confederate statue would not have been able to tell you who the figure cast in bronze is or what his role in the Civil War was unless they were told. For that matter, they aren't likely to know the name of the vice president of the United States. But anything for political correctness, man. We're all in. Members of the NAACP in Chattanooga got caught up in just such an argument several weeks ago when they began making noise about removing the bust of Confederate Lt. Gen. Alexander P. Stewart from the Hamilton County Courthouse lawn. Stewart, not a notable battlefield figure, not a slave owner, not a believer in slavery and an opponent of Tennessee's secession from the union, was memorialized because he was instrumental in the peacemaking creation of the Chickamauga and Chattanooga National Military Park. So beloved was his work that the United Daughters of the Confederacy renamed its chapter after him. Nevertheless, a television report last week said the NAACP still planned to bring up the matter of the bust with the Hamilton County Commission. No, once every statue is forced to be moved to a museum, crushed into a million pieces or covered with a canvas, the calls will come to remove slave-holding former presidents (United States Founding Fathers George Washington and Thomas Jefferson, for instance) from our money, to close memorials of slave-holding men and to pay reparations to any descendant of a former slave (or, perhaps, anyone who says he or she is a descendant of a former slave). Lest you laugh, such drives already have started. University of Missouri students demanded the removal of a Jefferson statue two years ago, and a CNN anchor the same year wondered whether the beautiful Jefferson Memorial on the Washington, D.C., Tidal Basin should be looked at for removal. The country's founding documents could even be in peril. 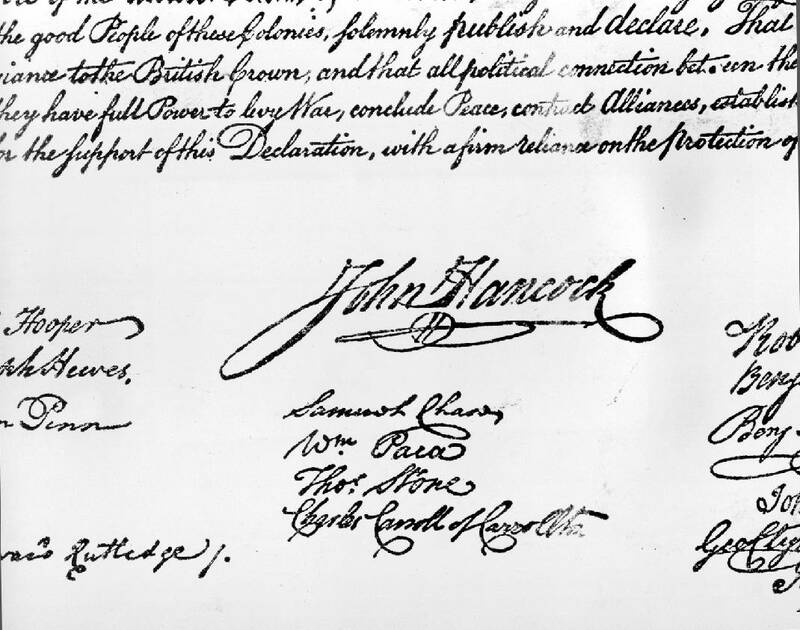 After all, 41 of the 56 signatories on the Declaration of Independence (authored by Jefferson) were slave owners, and James Madison, considered the father of the Constitution, was as well. And when the drivers of such movements learn that Abraham Lincoln favored voluntary colonization of slaves in Africa, the Great Emancipator's days on coins, statuary and monuments may be doomed, too. The removal of Confederate statues won't cure the hate of white supremacists, neo-Nazis or members of the Ku Klux Klan, either. Haters gotta hate. In fact, it is only likely to embolden them. We much prefer the thoughtfulness of former Secretary of State Condoleezza Rice, who in a May interview on Fox News said she was against the "sanitizing" of history. "I am a firm believer in 'keep your history before you' and so I don't actually want to rename things that were named for slave owners," she said. "I want us to have to look at those names and recognize what they did and to be able to tell our kids what they did, and for them to have a sense of their own history." Imagine, for example, explaining the sanitized scene at Chickamauga Battlefield to a future school-aged student who is interested in learning about the Civil War. "Why is all the writing on these signs blue?" "Because they represent the troop movements of the Union army during the war." "How come we don't see any evidence of the movements of the other side?" "Well, once upon a time they were here, and they were painted red. But some people back in the late 2010s thought we should erase all that from our history." "So you can do that?" Even questioning the removal of Confederate statues today risks one being labeled a racist, bigot, white supremacist or worse. This is the sorry place where we are as a nation. But violence in an effort to keep the statues in place is not an answer any more than it was following justified police shootings in the last several years, following the invitation of conservative speakers to colleges or by a Bernie Sanders disciple at a congressional baseball practice. We should all be asking ourselves when is it enough — not just enough removals of the images of slavery but enough violence, enough hate, enough bitterness. This is not who we're supposed to be. We must say it for ourselves — and mean it.